Upgrade the power and sound of your Ford 150 EcoBoost with our latest 3” Varex Catback Exhaust System we've specifically designed to suit Ford F150 EcoBoost 2015- models. 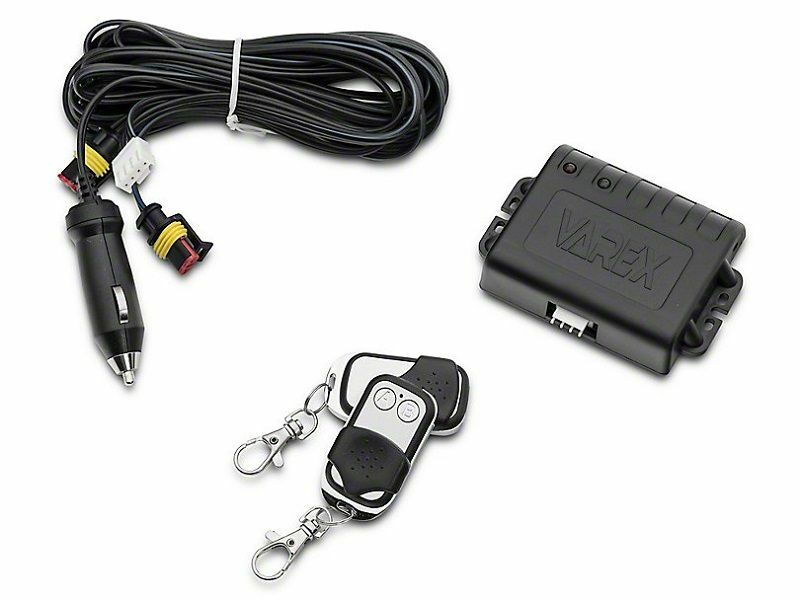 Our adjustable Varex mufflers gives you control over the exhaust tone via a remote control where you can shift from quiet mode to roaring sports mode at a push of a button! Adjustable Sound. By installing an X-Force Varex Catback Exhaust, you can dramatically change the sound of your F150’s exhaust from a mellow street sound to a rich, throaty growl or anywhere between with just a push of a button. The X-Force Varex Catback features electronically adjustable Varex performance mufflers. Close them when driving through a residential area to stay low key. Then open them up to let your engine howl while cruising down the highway. How It Works. Varex performance mufflers utilize a sophisticated internal electronic butterfly valve mechanism to direct the exhaust flow within the muffler. In the open position, the valve "uncorks" the exhaust flow allowing it to take the path of least resistance. The muffler then acts more like a straight-through muffler for a rich throaty exhaust note. In the closed position, the valve blocks the exhaust flow, forcing it through the chambered paths to produce a classic, mellow street friendly sound. This unique design is perfect for personalizing the power and sound levels of your F150 to suit your own specific needs. Stainless Steel Construction. This X-Force Varex Catback Exhaust is manufactured from high quality 3" diameter stainless steel tubing for superior durability and corrosion resistance. Direct Bolt-On Installation. Engineered to be a direct upgrade replacement, this Varex Catback will easily bolt up to the factory piping without any modifications required for a straight forward installation. The control module that powers the butterfly valves can be plugged into your 12v accessory outlet for easy plug and play operation or permanently hard-wired to a 12v source - the choice is yours. Increase sound, performance and durability of your Ford F150.